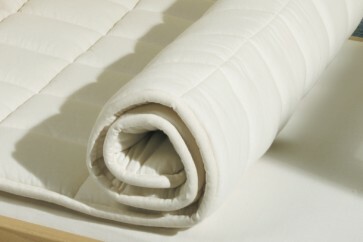 This certified organic pure new sheep’s wool topper has excellent temperature balancing properties. Your child will be comfortable and warm. Elastic tape fasteners ensure the topper sits securely on the mattress.